The big guy has lost his second tooth. This time it happened at daycare as he bit into, as I imagine, a particularly tough orange. 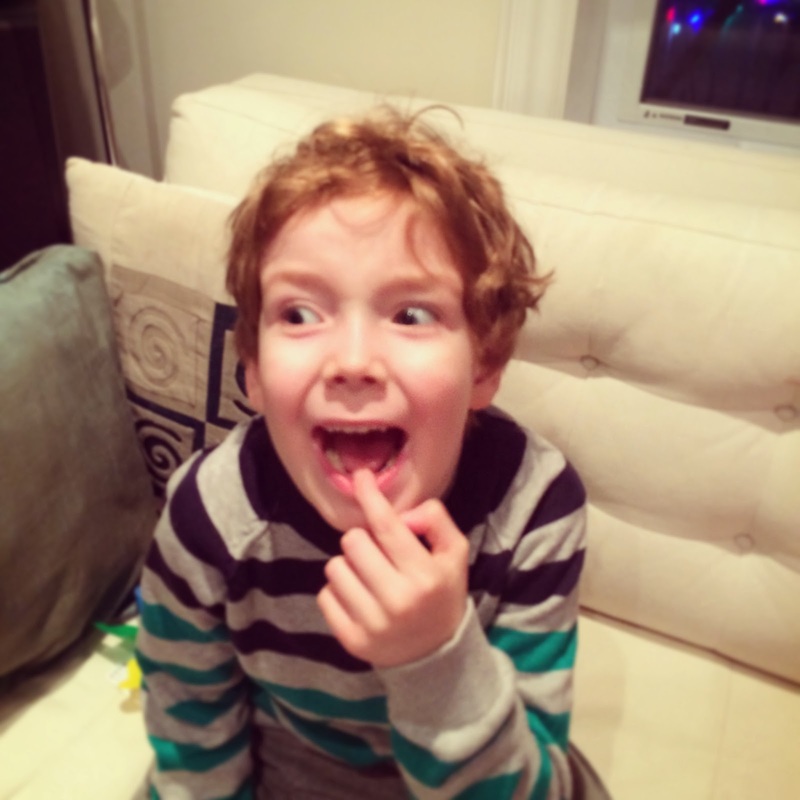 This follows on the heels of his first lost tooth on Christmas day. It was clear that the Tooth Fairy was going to be a bit of a letdown following Santa Clause. A twoonie can't even buy a LEGO minifigure, let alone an entire Jabba's Sail Barge or an Evil Wizard's Castle/Dragon Mountain. What I didn't expect was the total nonchalance the second time around. Nary a mention, an exclamation of joy or display of wonderment by the cold hard cash appearing under his pillow in place of the lost enamel. Please don't tell me this kid is already questioning made-up supernatural beings perpetuated by mistruths layered on lies built on foundation of dishonesty by the very parents who promise open and sincere communication? On second thoughts, bring it on! At least that would mean one less bizarre after hours ritual to forget.